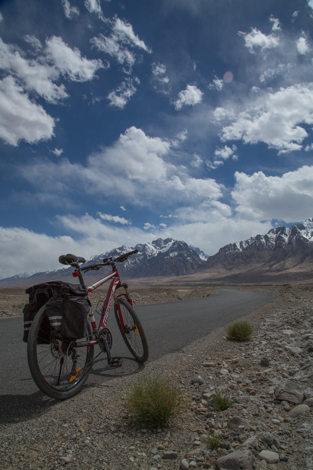 Earlier this year I went along the Karakoram Highway for the first time. 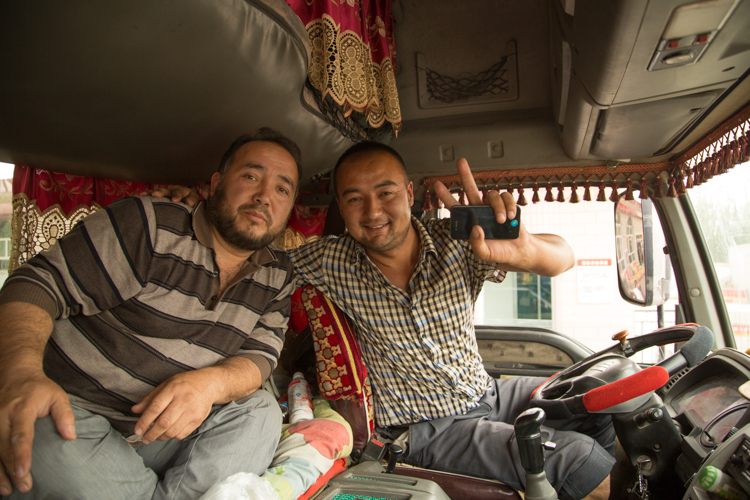 Lacking both time and a Pakistani visa, I was unable to complete the whole route from Kashgar in Xinjiang to Gilgit in Pakistan, so I settled for a U-turn near the border. 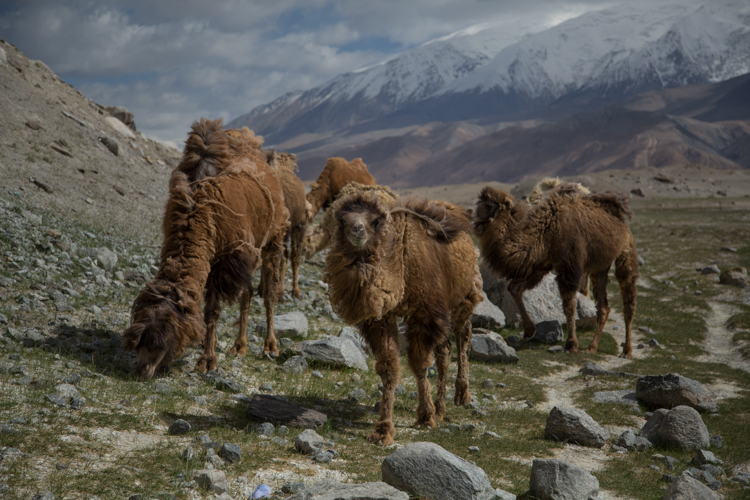 I returned to Kashgar, but not before the Highway – hemmed in by the soaring Pamirs, home to nomadic Tajiks and wandering camels – had sunk its hooks into my imagination. The road threads its way through the Pamir Mountains at the eastern end of the Himalayas where China, Pakistan, Tajikistan and Afghanistan come within 250 kilometres (150 miles) of each other. Pakistan and China plan to widen the road and develop the area as a trade zone, but for now, it remains a backwater for both countries, the border closed and towns cut off by snows between October and May each year. 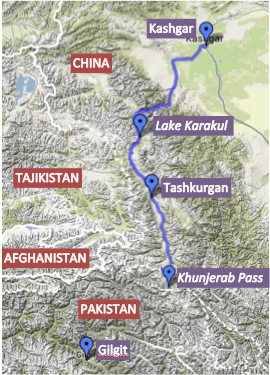 When I can, I’m going back to complete part II, but for now here is an armchair guide to the Chinese section of the Karakoram Highway (KKH), from Kashgar to the Khunjerab Pass. 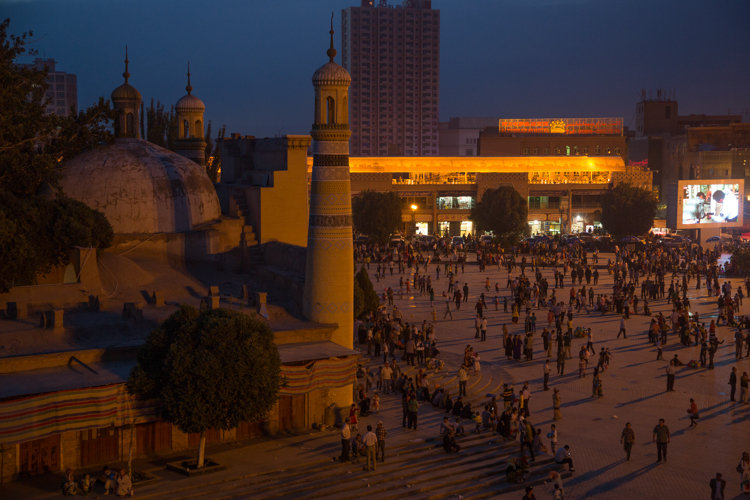 Arrive in Kashgar in time to see Friday prayers at the Id Kah Mosque, when 20,000 worshippers spill into the square and streets around the Mosque. Stay until Sunday to catch the Sunday market, then catch the next bus south on Monday morning. 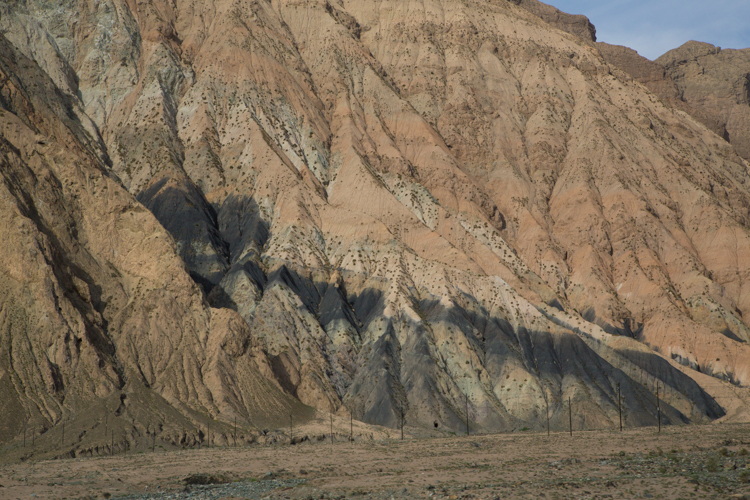 While you drive through dry, scrubby countryside and small Uyghur towns, the mountains grow in the distance, snow-capped almost all year around. 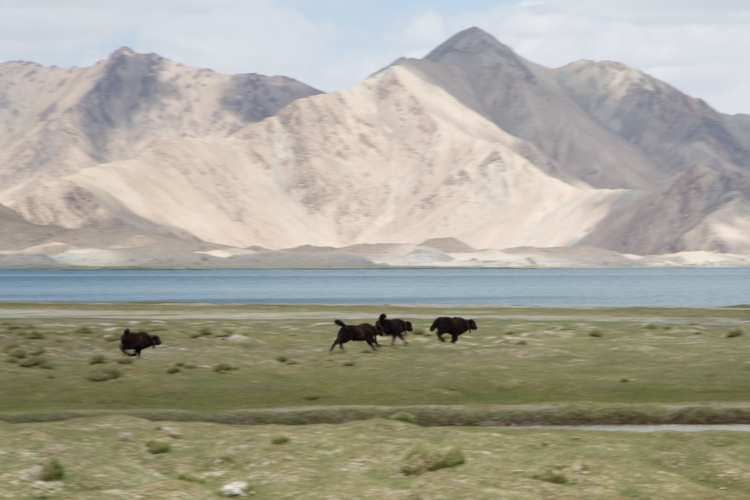 As you climb up into the mountains, through the arid rain shadow of the Pamirs, you’re travelling from 1,200 metres around Kashgar to 3,800 metres at Lake Karakul. Two hours out of Kashgar, the road suddenly arrives at Lake Karakul, a brilliant turquoise lake in the lee of 7,546m-high Muztagh Ata. Stop the bus/car, and settle down at the lakeside for a picnic and an afternoon nap in a yurt, or join the camels for a wind-whipped walk around the lakeside. It takes three hours to walk around the lake. I foolishly tried to beat the clock by taking a short cut that found me wading through glacial streams and picking my way across mud pools – stick to the well-marked path, and you’ll be fine. The shore is dotted with chubby, ginger marmots and herds of gambolling yaks. 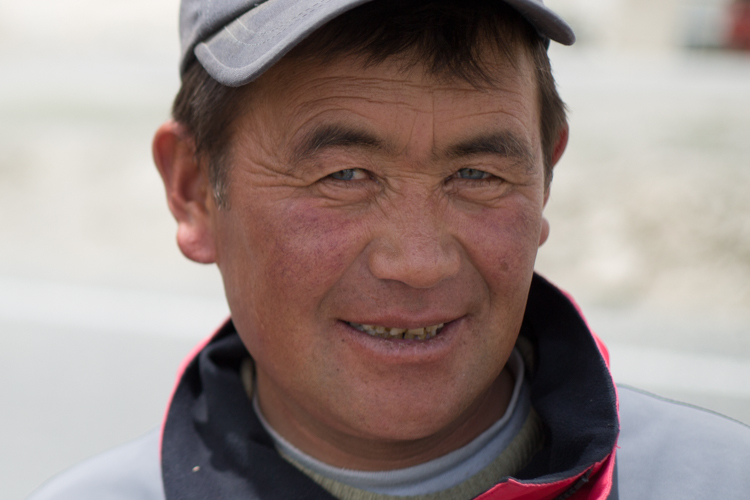 From Karakul to Tashkurgan, you’re on your own; it’s time to get hitchhiking. Your chances of picking up a ride on this road are good, and it’s generally safe. Some people may ask you to pay, others won’t – the two kindly gentlemen below gave me a long, long lift for free. 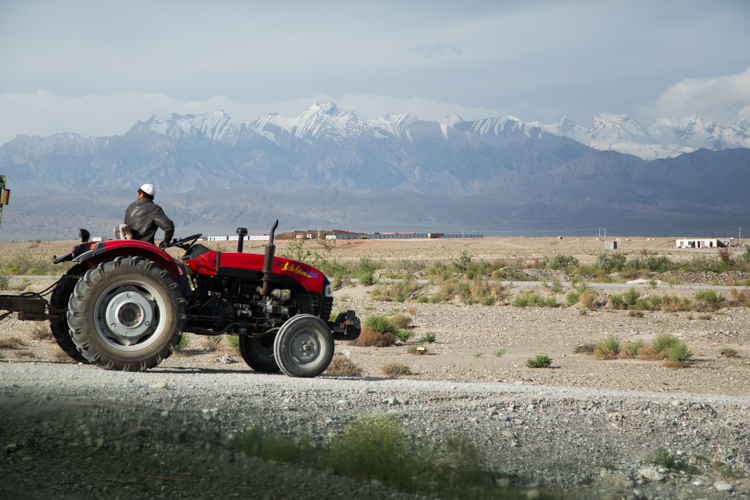 Tashkurgan is a modest place – more of a truck-stop than a town. Besides some ruins that were used as a filming location for the movie The Kite Runner, the main attraction is the town’s Tajik inhabitants. 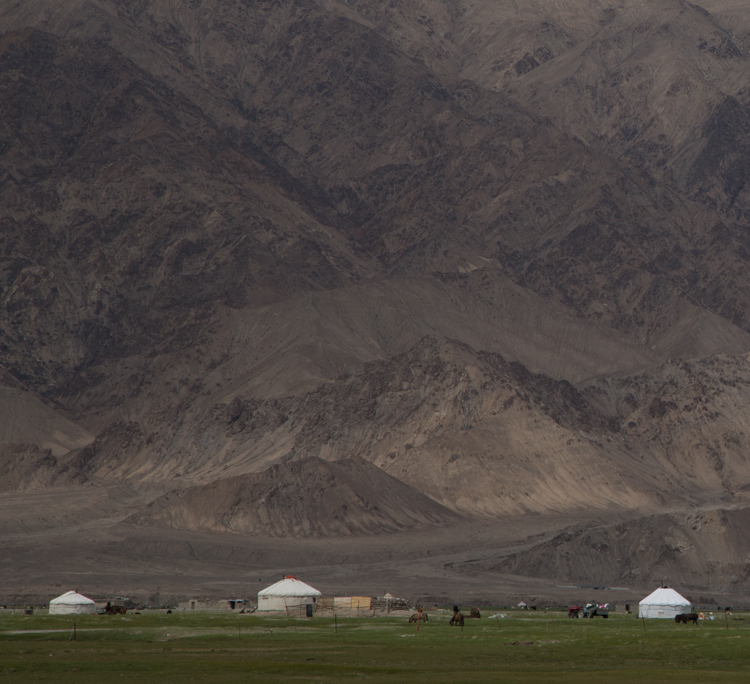 Speaking a language closer to Persian than Chinese, the Tajiks live in yurt encampments on the edge of town. ← Three handsome boys, please.